The International Society for Krishna Consciousness (ISKCON) has temples and centers in various parts of Thailand. In each of these centers or temples we celebrate Vaishnava festivals and take measures to preach Krishna Consciousness to the general mass. ISKCON is managed by GBC (Governing Body Committee). H.H Jayapataka Swami is the GBC, H.H Kavicandra Swami is the co-GBC and H.H B.V.V Narasimha Swami is the regional secretary of Thailand. H.H Vedavyasa Priya Swami also visits and preaches in Thailand. They are all Srila Prabhupada sannayasi disciples and initiating Guru in ISKCON. We have temples, student center, house programs and a program in a public park in Bangkok. For further details please view “Contact Us”. We have a temple in Phukhet. 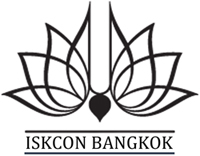 For further details please visit, www.iskconphuket.com. Huahin and Charm have congregation members and regularly meet at devotee’s houses during programs and festivals. We have weekly program in Pattaya, Devi Mandir and they also host major vaishnava festivals. Kho Samui devotees also gather and held weekly Krishna Conscious programs. Overall, there are over 100 initiated devotees in Thailand and it is ever increasing. Devotees gather during the annual Bangkok Rath Yatra (during June-July), Pattaya Rath Yatra (during H.M King’s Birthday, 5th December), Phukhet Rath Yatra (during Ram Nawami in April) and at times in Chaam or Kho Samui during the new-year.